The provisions of the Civil Procedure Code are not applicable to Industrial Disputes Act. It does not mean that the principle of res judicata will not be applicable to cases involving industrial dispute. On the principle of res judicata, the Apex Court in the case of Bharat Barrel and Drum Manufcaturing Company Pvt. Ltd. v. Bharat Barrel Employees Union, (1987) 2 SCC 591 has held that a question which is once decided can never be re-agitated and the exceptions are classes of cases like disputes regarding wage structure, service conditions etc. which arise as circumstances change and new situations arise which may not be barred by the rule of res judicata. The principle object of the Labour Legislation is to bring a quietus to the dispute. The question as to whether a person was or was not an employee of the Management on the particular date is one which cannot be re-agitated in a subsequent case, if it has already been decided by the Industrial Tribunal of competent jurisdiction in an earlier case. Rajiv Gandhi ONGC (CON) Workers Welfare Association v. Government of India, 2016 (150) FLR 499. The law is fairly well settled. Acquittal by a criminal court would not debar an employer from exercising power in accordance with the Rules and Regulations in force. The two proceedings, criminal and departmental, are entirely different. They operate in different fields and have different objectives. Whereas the object of criminal trial is to inflict appropriate punishment on the offender, the purpose of enquiry proceedings is to deal with the delinquent departmentally and to impose penalty in accordance with the service rules. In a criminal trial, incriminating statement made by the accused in certain circumstances or before certain officers is totally inadmissible in evidence. Such strict rules of evidence and procedure would not apply to departmental proceedings. The degree of proof which is necessary to order a conviction is different from the degree of proof necessary to record the commission of delionquency. 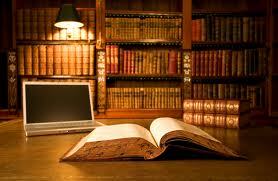 The rule relating to appreciation of evidence in the two proceedings is also not similar. In criminal law, burden of proof is on the prosecution and unless the prosecution is able to prove the guilt of the accused “beyond reasonable doubt”, he cannot be convicted by a court of law. In a departmental enquiry, on the other hand, penalty can be imposed on the delinquent officer on a finding recorded on the basis of “preponderance of probability”. Acquittal by the Trial Court, therefore, does not ipso facto, absolve the employee from the liability under the disciplinary jurisdiction. Om Prakash Singh v. State Bank of India, 2016 (150) FLR 939. “The expressions ‘mother’ and ‘stepmother’ have not been defined either in the Criminal Procedure Code or in the General Clauses Act, 1897. These expressions have also not been defined by the Hindu Law or the Hindu Adoptions and Maintenance Act, 1956 or by any other law. All that the explanation attached to Section 20 of the Hindu Adoptions and Maintenance Act, 1956 provides is that the expression ‘parent’ includes a childless stepmother. On a conspectus view of dictionary meaning of the two expressions – ‘mother’ and ‘stepmother’ in various dictionaries, it clearly emerges that there is inherent distinction between the status of a ‘mother’ and ‘stepmother’ and they are two distinct and separate entities and both could not be assigned the same meaning. The expression ‘mother’ clearly means only the natural mother who has given birth to the child and not the one who is the wife of one’s father by another marriage. A stepmother is one who is taken as a wife by the father of the child other than the one from whom he is born or who has given birth to him. This clearly goes to show that the woman who gives birth to a child and another woman who is taken by the father as his ‘other’ wife are two distinct and separate entities in the eyes of law and who in common parlance are known and recognized as real ‘mother’ and ‘stepmother’. That being so, another woman who is taken as a wife by the father of the child cannot be given the status of a mother to the child born from another woman as there is no blood relation between the two”. Ajay Singh Maurya v. State of Uttarakhand, 2016 (150) FLR 920. Law of Prescription provides the period at the expiry of which not only the judicial remedy is barred but a substantive right is acquired or extinguished. A prescription by which a right is acquired, is called an “acquisitive prescription”. A prescription by which a right is extinguished is called “extinctive prescription”. The distinction between the two is not of much practical importance or substance. The extinction of right of one party is often the mode acquiring it by another. The right extinguished is virtually transferred to the person who claims it by prescription. Prescription implies that the thing prescribed for is the property is the property of another and that it is enjoyed adversely to that other. In this respect it must be distinguished from acquisition by mere occupation as in the case of res nullius. The acquisition in such cases does not depend upon occupation for any particular length of time. M.P. Daga v. PICUP, 2016 (118) ALR 548. Such person or persons constituting arbitration are obliged to hear both the parties and decide the dispute in a judicial manner. Clause (h) of Section 2(1) of the Arbitration and Conciliation Act, 1996 defines the expression “party” to mean ‘a party to an arbitration agreement.’ This clause is also a new one and did not exist in the old Act of 1940. This expression is also not mentioned in UNCITRAL Model Law and is not available under the English Arbitration Act, 1996. The definition makes it clear that a party, which is not a party to an arbitration agreement, is not covered within the definition of term “Party” for the purpose of Arbitration and Conciliation Act, 1996. The definition of ‘party’ will also include the legal representatives of such party. A person who is not a party to an arbitration agreement cannot pray for the enforcement of the agreement or the appointment of an arbitrator. The term ‘party’ in this clause has narrowed down the scope of the word ‘party’ as commonly understood. It has made clear that non-parties to the contract have no right under the Act for seeking Arbitration and consequently an Award. Bharat Catering Corporation v. Indian Railway Catering and Tourism Corporation Ltd., 2016 (118) ALR 666. Domicile or residence more or less carry the same meaning, in as much as both refer to the permanent home of the person concerned. Domicile is at the international level and the residence is somewhat at a local level. A person is the domicile in the country in which he is considered to have his permanent home. No one can be without a domicile and no one can have two domiciles. The same principle applies at a lower level to the place of residence of a person. Domiciles are broadly domicile of origin and domicile of choice. Domicile of origin prevails until a person acquires domicile of another place. Domicile means a place of permanent home, a place which a person fixes as his habitation for himself and his family with the intention to live there permanently. The place where a person has his home in its ordinary acceptation or a place where he lives is regarded as his place of domicile. Hare Krishna Singh v. State of U.P., 2016 (117) ALR 741.